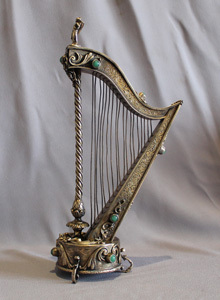 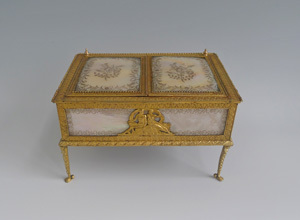 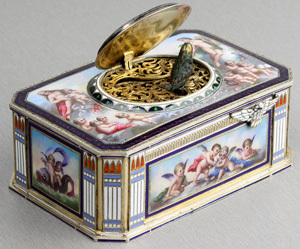 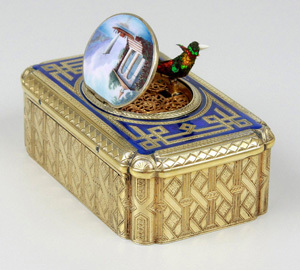 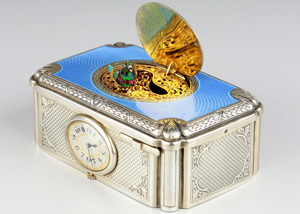 Antique Palais Royal music box and neccesaire in mother of pearl and gilt bronze. 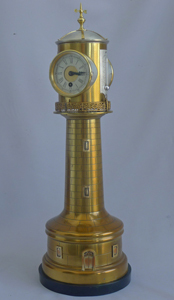 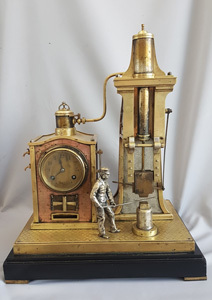 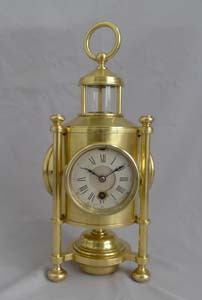 Antique industrial Series weather station Davy's Miner's Lamp clock compendium by Guilmet. 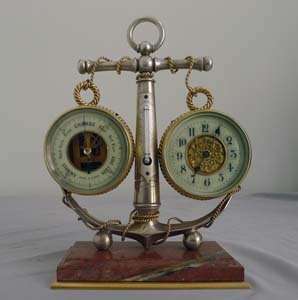 Antique Industrial series desk weather station of mautical style. 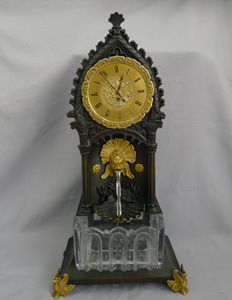 Antique French Gothic mantle clock with water automaton feature. 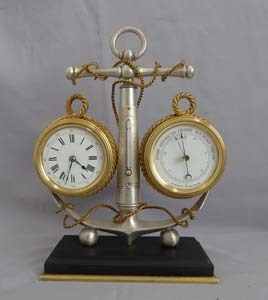 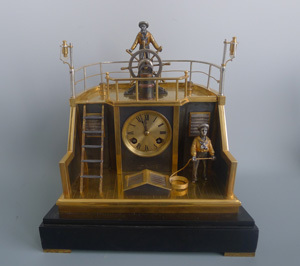 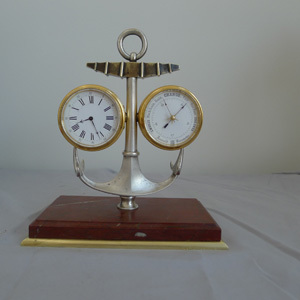 Antique Industrial Series Marine small deskset of clock, barometer and thermometer within an anchor. 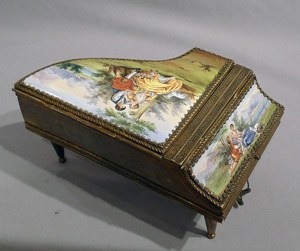 Fine musical enamel and gilt bronze piano. 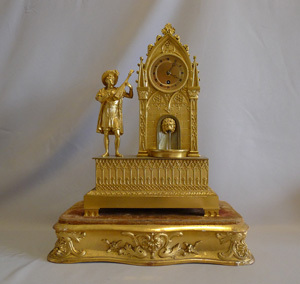 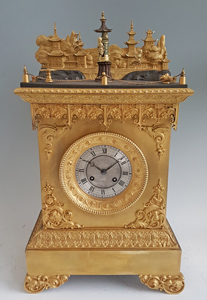 Antique automaton clock, French in the Gothic style.